March Perm Sale Is Back! Is everyone ready for Back To Bliss’s annual March Perm Extravaganza? We are and we can’t wait to see everyone in March getting their Perms done. Make sure to book now to secure your spot in the month of March. 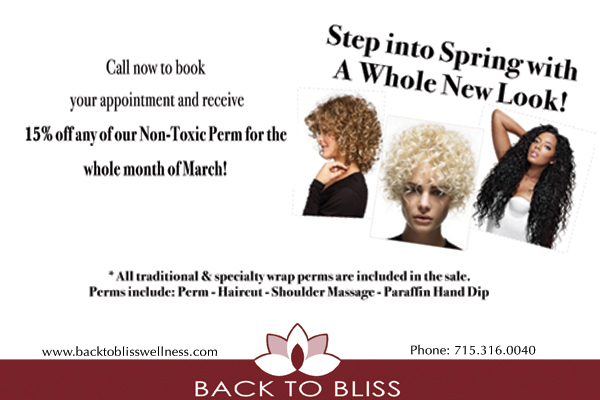 Get 15% OFF any perm during the month of March; this includes specialty wraps as well. Make sure to mention this blog/post when booking your perm to get the offer. DRY WINTER WEATHERED HAIR?? 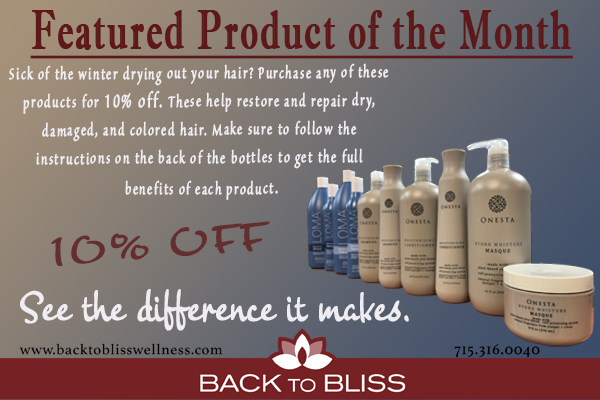 Pick up either Loma Moisturizing Shampoo, Conditioner or Onesta Moisturizing Shampoo, Conditioner, or Hydro Masque to replenish! As always all our products are Non-Toxic and Organic! If you are unsure which product to go with as one of our Organic Stylist! Grab yours fast this is only good while supplies last! We are celebrating Victoria who has been on the Back To Bliss Team one year! She has brought passion for skin care with her! We are so excited to have her on our team! For the Month of November we are teaming up with The Coffee Coop to make a great offer for all of our lovely clients! Replenish dry Summer skin with the fabulous Fall inspired Facial. The benefits of using Pumpkin will help nourish the skin while smoothing and brightening it. *Schedule a Pumpkin Spice Facial with Back To Bliss and get a 10% off coupon for a Pumpkin Spice Latte over at The Coffee Coop; or vice versa, buy a Pumpkin Spice Latte over at The Coffee Coop and receive a 10% off coupon for our Pumpkin Spice Facial. 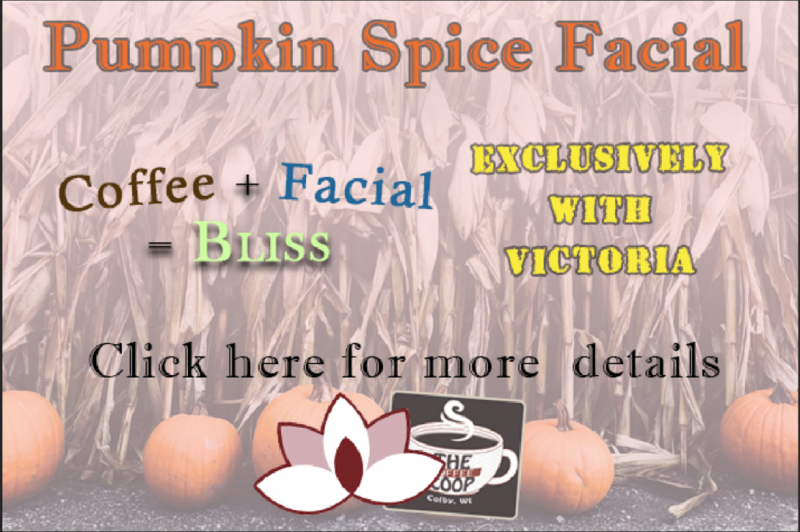 These wonderful Pumpkin Spice Facial’s are exclusively with our Licensed Esthetician, Victoria Kniess and it’s also a Signature Facial at Basic Facial cost, only $45. You can book your appointment at our Main Colby Location or our Marshfield location today to grab your spot. It’s that simple to save and to treat yourself to something better than candy, coffee and a facial! Congratulations to Samantha for being with Back To Bliss for three years! 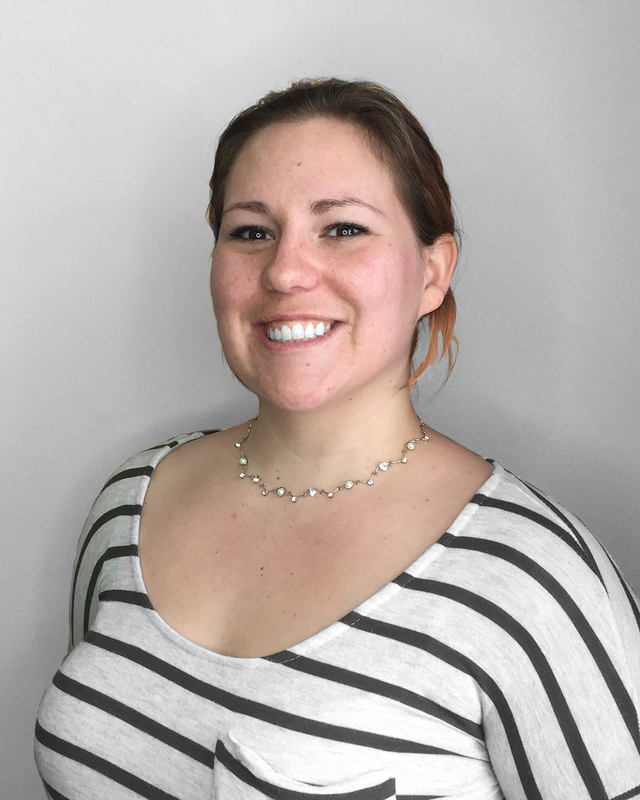 Samantha (Sami) is on our Front Line team as well as our Marketing Team. All of the beautiful flyers, Gift Certificates, Cards basically anything branded she has had her hands in. We appreciate her design work and her dedication and loyalty to Back To Bliss. Next time you see her congratulate her on three years! We are celebrating Jessica Hopperdietzel on 6 years of being on the Back To Bliss Team! She is our Assistant Manager and our in salon Educator. She is constantly pushing herself to learn new things and our salon. Her skills as a stylist go unmatched, if you have had the joy of having her do your hair you know what I am talking about! Thank you to Jessica for her 6 years of amazing work and helping to grow Back To Bliss into what it is today! Our Apprentice Chelsea is ready to step behind the chair and finish her hands on training! This is a big step for an apprentice, it means they have completed their initial training on manikins. Their skills have been tested and can now be put to use on all of our beautiful clients. Chelsea is a very talented young hairstylist. She is creative, high energy and so excited to give you a fresh new look. You should expect a beautiful result. Even thought our apprentices is learning she has had a year of training and practice. We would not allow her to take clients yet if we felt she was not ready. Our Apprentice is always overseen by one of our more seasoned stylist. This is a benefit of coming to a facility that works together as a team. Our stylist help each other so you can be sure you get the best result. Our Apprentice services are at a discounted price. We do this because we are a leveled facility and we believe that the price should reflect the amount of experience and education our practitioners have. She still will be using all of our high end Organic lines to make your hair feel the best it can. You should expect your service to take a little longer. Because she is still learning she isn’t as fast as some of our other stylist so make sure you mark of enough time in your calendar to get the best result possible. What services does Chelsea offer? She offers a variety of services and she is adding to her offered services everyday. Below is a list of hair services she is offering right now. She also does Pedicures, Manicures, Facials and Waxing. You can always Facebook Message us @BackToBliss and we will be happy to help you from there. 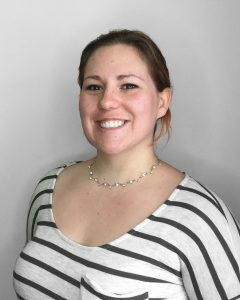 We would like to introduce Sylvia to our Back To Bliss Massage Therapy Colby Team! She is joining us as an Associate Level Therapist. We are very excited to have her on staff. She has an amazing open heart and just wants to help people as much as she can. She also has a passion for learning and is always striving to make her knowledge of massage even greater. You can read down below a little information about Sylvia. When you are in need of a great massage ask for her in our Colby Location! Hello, my name is Sylvia. My goal is to help you take time out of your busy life to focus on just yourself. My true desire is to help busy families learn how to find their center and calmer parenting approaches leading to a path of wellness and getting back to nature. I think this can be accomplished by teaching parents about the power and healing that massage can provide, which they can then incorporate into their own lives and pass on to their children. I have been a licensed massage therapist since 2017. I specialize in myofascial, Swedish and Deep Tissue massage, but I am continuously expanding my knowledge in the massage field and holistic lifestyle. Some of the inspirational activities I enjoy are barefoot nature walks, cooking wholesome meals with my kids, gardening, and watching my family grow together. This year, we are learning about growing herbs, keeping bees, landscaping, the benefits of different garden produce, bach flowers, and canning our own food. Facials are great for your skin as they help to clear the skin of impurities and give your skin a fresh new look! Many people look past the fact that their skin needs quite a bit of attention. It’s time to let your skin receive the feeling of being renewed. 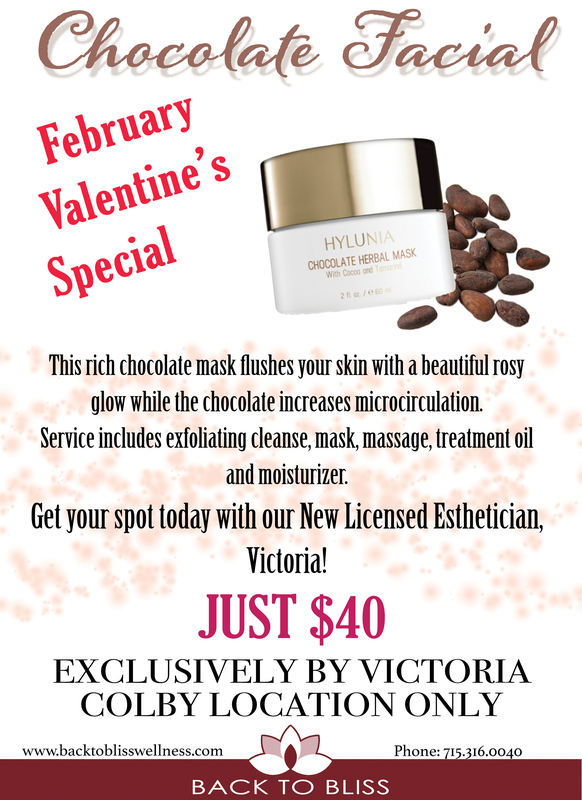 The Chocolate facial is great for the month of Valentine’s. I mean who doesn’t like getting chocolate for Valentine’s day? The difference with this chocolate compared to the lovely and tasty Dove chocolates your lover might be getting you is that this is ALL FOR YOUR SKIN! Finally! 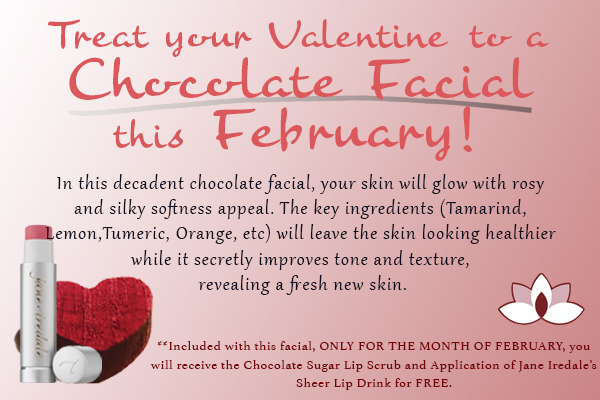 Your skin gets to absorb the smooth and tastiness of the chocolate that you love! This facial starts off with a cleanse that then leads into the exfoliation process. This is where the smells of the delicious chocolate start to come into play. The Chocolate facial scrub gently exfoliates the skin to create a healthy glow to the skin by removing dead skin cells and debris from pores. As you take in the great smells you get to relax as you receive a scalp massage. Once the exfoliant is removed, you receive a facial massage with a delicious smells of lemon meringue pie (Mmmm) just to add to your “sweet” experience. Next is the best part! Hopefully you don’t get too hungry as the chocolate mask sits on for 10 minutes and you take in the yummy smells of chocolate, not to mention the added pleasureful smells of the lemon oil. The chocolate mask brings all the uncontrolled stomach growls as it provides a rosy glow and softens the skin. It contains Tamarind which is a natural exfoliant that contains tartaric acid. This helps to give a little extra oomph to the exfoliation to help you shine bright with your healthy skin and then chocolate (the tasty part) increases microcirculation so that the skin can absorb the fruit acids. After the facial is complete you will leave with the smell of sweetness still lingering. I, Victoria, am giving these facials at an unbeatable price of only $40! Book your appointment and you’ll understand what all the fuss is about. You’ll get to be the tasty treat instead of the yummy chocolates taking all the credit! Hurry and book today before this unpassable deal is over! In the first part of this waxing series, we took a look at the technical aspects of waxing. In this post I would like to tell you what to expect, and some tips to make it a bit easier for you to bare. So many people ask, does waxing hurt? Yes, waxing can be painful, after all you are getting hair ripped out of your skin. The pain is definitely tolerable, the initial sting only lasts a short time. Some people will choose to take some ibuprofen beforehand to help with the pain, however you do not want to take aspirin, because of it being a blood thinner. Yes, there can be blood, all that means is that we got the entire hair follicle out, which is attached to a blood vessel. It is also a good idea to keep in mind that your body is more sensitive around the time of your period, so it will hurt a little more. The more often you wax, the less painful it will be, due to the fact that your hair is growing back thinner and more sparse. Like many other things in life, it gets better with time! Another thing you need to know is that you need to let your hair grow! It needs to be about 1/4″ long, which means you will need to grow it out for about 4 weeks. If your hair grows a little faster, it may be longer than a 1/4″ and that is ok. If your hair is longer than that I can trim it without a problem, but if the hair isnt long enough the wax wont adhear to the hair. The last bit of information you should know about the waxing process itself is; don’t be embarrassed about how much hair you have, because we all have hair! Basically any part of the body can get waxed. When getting a bikini wax, it may be a little weird getting your lady business waxed, but after a couple minutes of talking the akwardness seems to go away. To me, there is hair attached to skin and I need to remove it, I dont think about anything else. It is not one bit awkward for me, so I hope you don’t feel that way either. You should avoid hot baths or hot tubs after a wax for at least 24 hours. Your freshly waxed skin is susceptible to bacteria infections for the first 24 hours after. You should also avoid tight clothing to make sure your skin can breathe after the wax. Try to avoid any activities that could cause friction on your skin. After the first 24 hours, you can start using a mild antibacterial soap and exfoliating lightly to make sure you do not get any ingrown hairs. What are ingrown hairs you ask? Ingrown hairs happen when the hair grows sideways, or curls back into the skin. Sometimes the hair is not strong enough to push through the skin, so it curls back or grows sideways under the skin. These need to be taken care of, because they can become infected. The best way to remove them would be similar to how you would remove a sliver, with a tweezers to carefully pull it out. I hope that after reading this you will give waxing a try, afterall, it’s not that bad! I have recently rediscovered what is sometimes called the healthiest oil in the world: coconut oil. When I first learned about this superfood, I used it as much as I could and tried to incorpotate it into just about everything! I still am using it because of all the benefits I’ve gotten from the wonderful oil and I will continue to use it forever! For many years, people have been using coconut for so many different things. Pacific islanders believe the coconut is the cure for all illenss and the palm tree from which they grow is known to them as the “Tree of Life”. In traditional medicine, coconut was used to help heal such things as; bruises, burns, earaches, fevers, lice, rash, sore throat, upset stomach just to name a few. As the years have gone by, modern medicine has discovered even more ways coconut oil can be helpful in everyday life. Researchers have even found that it can kill viruses, bacteria, and fungi! One of the many ways to benefit from the oil is to consume it! You can use it to cook with, as a subsitiute for butter, incorporate it into smoothies or eat it raw! Coconut oil is lower in calories than other fats and can promote loss of excess weight by increasing the metebolic rate! Another way it can help with weight loss is that it can reduce hunger because of the way the fatty acids are metabolized. Coconut oil contains medium chain triglycerides which are immediatly transfered into the liver and turned into fuel. Consuming the coconut oil, you can also get stronger bones and teeth because of the calcium it contains. Coconut oil is also a great source of fiber, vitamins, minerals, potassium, magnesium, electrolytes and amino acids. Another way to use coconut oil is to use in on you skin and in your hair, which is the way that I use it most often! I use it in my hair everyday morning and night; I use it when my hair is wet and when its dry without my hair getting too greasy. Coconut oil contains antioxidants that protect our skin from free radicals, which can slow down the aging process. Another way coconut oil benefits the skin is that it imporves the lipid mositure and acid mantle which helps protect the skin. If you are a person who likes to enjoy the sunshine in the summer, coconut oil is very useful to protect your hair and skin from up to 20% of UV rays! After being in the sun, it is also a good idea to apply it to avoid peeling if you do end up with a burn. There are SO MANY other uses and benefits of coconut oil, I have just listed a few that I found most interesting. What I love most about the oil is that it is so versitile, eliminating the need for so many different products. Now that you know why I love coconut oil, I hope that you will try it and love it too! You can find a quality cocunut oil right here at Back to Bliss. We have Dr. Bronner’s Magic “All-one” Coconut oil for $26.99! The jar is 30oz so it will last you an incredibly long time! You will notice that the product is in a solid form, but liquifies with just the warmth of your fingers! I hope I have given you enough of a reason to pick one up today so you can enjoy these health benefits as well.